Inspired by true events, Breach is a gripping and intense thriller that takes you deep inside the halls of the FBI for a top-secret investigation to uncover the greatest breach in the history of US intelligence. Featuring powerful performances by Chris Cooper and Ryan Phillippe, nothing is as it seems in this suspenseful, action packed film that will keep you riveted until the climactic ending. $12.261 million on 1489 screens. 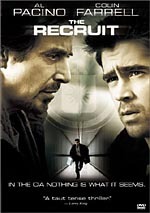 With 2007’s Breach, we find a thriller based on a recent governmental scandal. 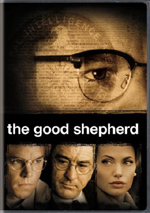 The film introduces us to young FBI operative Eric O’Neill (Ryan Phillippe). 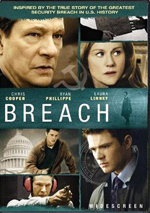 Agent Kate Burroughs (Laura Linney) gives him the assignment to spy on veteran agent Robert Hanssen (Chris Cooper) due to Hanssen’s alleged deviant sexual behavior. Eager to move up in the ranks, O’Neill takes the job but he encounters surprises as he works with Hanssen. The taciturn, deeply religious agent doesn’t fit the MO handed to him, and O’Neill develops a personal bond with Hanssen. All of this starts to affect his ability to handle the case, especially when he learns its true nature. O’Neill learns that Hanssen has been handing over US secrets to the Russians for years. The movie follows the personal and professional side of the story as we see what happens with the men. During his commentary, writer/director Billy Ray references various political flicks from the Seventies that influenced Breach. Those inspirations become clear as you watch the movie, but don’t take that as a negative that means I think it seems derivative or like a rip-off. Breach echoes the best aspects of those films in its tone and attitude. That means a crisp, concise effort with a minimum of schmaltz and melodrama. Breach invests itself in the human price paid by those involved; indeed, that becomes a major piece of subtext as we see the effect the FBI life has on the characters. However, it doesn’t beat us over the head with these issues. Instead, we get to observe those elements in a dry, realistic manner devoid of excessive emotionality. This allows the movie to play as believable and thoughtful, not as a piece of manipulative schlock. That understated attitude applies to most of Breach and helps make the film more engaging. Rather than turn into a simplistic tale of good and bad, the film deals in shades of gray. Much credit comes from the portrayal of Hanssen. Although we loathe the man for his actions, we admire him for aspects of his character. He never becomes a cartoon villain, as he always remains fully three-dimensional. The use of Cooper in the role helps. I think much of the character’s success stems from good writing, but Cooper’s performance certainly ensures that Hanssen becomes a rich personality. Cooper brings the necessary steely resolve to the character but he doesn’t make Hanssen a one-note sourpuss. He throws out subtle moves to create a full-blooded and believable personality. While Breach doesn’t give us a truly remarkable drama, it certainly provides something above average. I admire its refusal to indulge in cheap theatrics and the way in which it stays on target. This is a bright, thoughtful examination of a fascinating subject. Breach appears in an aspect ratio of approximately 1.85:1 on this single-sided, double-layered DVD; the image has been enhanced for 16X9 televisions. Though most of the transfer seemed fine, a few problems made it less than satisfying at times. Edge enhancement caused most of these. The movie suffered from some of the most prominent haloes I’ve seen from a recent flick, as they permeated much of it. This caused softness in some shots, though most of the movie displayed reasonably good clarity and delineation. I noticed no shimmering or jagged edges, and source flaws appeared absent. Given the movie’s chilly tone and many office sequences, it featured a restricted palette. The film often went with a cool bluish tone, though it didn’t come across as unnatural or stylized. Instead, it kept the tones subdued, a motif that fit the nature of the tale. Blacks tended to be a little muddy, while shadows were decent to good. Some interiors appeared a bit hazy, but the film usually provided perfectly acceptable delineation in low light shots. Ultimately, the image was watchable but suffered from its edge enhancement too much to merit a grade above a “C+”. At least the Dolby Digital 5.1 soundtrack of Breach proved more consistent and satisfying. Of course, the flick didn’t offer a particularly lively soundfield, as the material remained low-key in keeping with the movie. Nonetheless, the audio opened up the material well. Music showed nice stereo imaging, and effects provided some good breadth and movement. Street scenes were the most involving, and the flick offered a nice feeling for various environments. Audio quality was positive. Speech always came across as natural and concise, with no edginess or other problems. Music seemed rich and full, again within the movie’s subdued parameters. Effects followed suit and seemed both clear and accurate. At no point did the audio become dazzling, but it fit well with the movie. In terms of extras, we open with an audio commentary from writer/director Billy Ray and former FBI operative Eric O’Neill. Both sit together for this running, screen-specific chat. They discuss story, pacing and editing, cast, characters and performances, locations and sets, cinematic inspirations and influences, facts and liberties, changes among scripts, and other production elements. For the most part, the track works well. We get good information about the movie’s creation, and O’Neill’s material adds a nice element of reality to the discussion. My only complain comes from Ray’s somewhat overwhelming presence, as he dominates the chat. This means he occasionally interrupts O’Neill and doesn’t leave a lot of room for the former FBI agent to give us his remarks. This might’ve worked better as two separate commentaries, with one that focused on movie elements and another that looked at the facts. These minor negatives aside, this ends up as a pretty positive commentary. Eight Deleted Scenes fill a total of 12 minutes, 20 seconds, while two Alternate Scenes go for five minutes, 49 seconds. These include “FBI Weight Room” (1:13), “Construction of 9930” (0:55), “I’m Here to Help You” (2:28), “Reporting to Kate” (0:31), “It’s Their Religion” (1:09), “How Is Your Mother?” (3:15), “I’m SES Now” (0:49), “The Arrest Plan” (1:25), “Video Tape Fight” (3:20) and “Meeting with Kate” (2:20). A montage makes “9930” unnecessary, and many of the other segments feel redundant. For instance, “Weight Room” just reinforces our understanding of Hanssen’s perceptiveness, and “Religion” gives us more of the tensions between Eric and Juliana. I do think some of the clips are interesting, though. “Help” offers a little comic relief, and “Mother” lets us know more about Hanssen’s lie-detection techniques. The alternate “Fight” telegraphs the ending somewhat, while “Meeting” finishes the tale on a more ambiguous note. All the various segments are fun to see, but I don’t know if any of them should have made the final flick. We can watch these clips with or without commentary from Ray and editor Jeffrey Ford. They tell us some background about the scenes and let us know why they dropped the segments. Their remarks offer good insight into the sequences and merit a listen. A featurette called Breaching the Truth lasts 10 minutes and 52 seconds. It mixes movie clips, behind the scenes bits, and interviews. We hear from Ray, O’Neill, first assistant director Richard L. Fox, producer Scott Kroopf, executive producer Adam Merims, O’Neill’s wife Juliana, production designer Wynn Thomas, and actors Chris Cooper, Ryan Phillippe, Caroline Dhavernas, Laura Linney, and Dennis Haysbert. We learn about the project’s origins and development, casting, facts and accuracy, O’Neill’s involvement in the flick, and locations and sets. I don’t expect much from these short promotional programs, but “Truth” proves pretty useful. Though it tears through its subjects, it offers reasonably good details and also provides some nice shots from the set. I’m glad we get to see the true Eric and Juliana, especially since it’s so unusual to see real-life people who are almost as attractive as the actors who play them. (Cooper seems to be substantially more handsome than the actual Hanssen, though.) This is a nice little show. Next comes the six-minute and 49-second Anatomy of a Character. It includes remarks from Ray, Cooper, Phillippe, O’Neill, Linney, Haysbert and actor Kathleen Quinlan. We get a little more info about Cooper’s casting as well as his take on the Hanssen character and some notes about the real man. “Anatomy” is too short and features too many movie clips, but it offers enough interesting material to deserve a look. Originally broadcast on Dateline NBC back in March 2001, ”The Mole” runs 19 minutes, 20 seconds. Hosted by Chris Hansen, it delves into Hanssen’s life and career as well as historical details, issues connected to spying, and elements of the Hanssen case. The segment aired a little too soon after Hanssen’s arrest for this piece to offer much perspective, but it nonetheless provides a good look at the real-life facts behind Breach. The DVD opens with a few ads. We find promos for Because I Said So, Dead Silence, HD-DVD, Talk to Me and Hot Fuzz. No trailer for Breach appears here. Intelligent and involving, Breach offers a fascinating character tale. It investigates treason but not in an obvious, plot-heavy manner. Instead, it brings us into its personalities to become a rich look at the issues. The DVD presents mediocre picture as well as good audio and some informative extras. This is a strong film that deserves your attention.